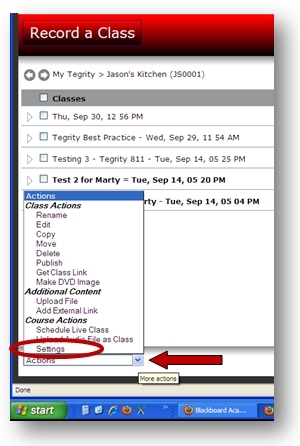 Step 1: Log into the desired Blackboard course and open Tegrity. Step 2: Go to the “Action” menu in the lower left of your Tegrity window and select “Settings”. See the image below as a reference. 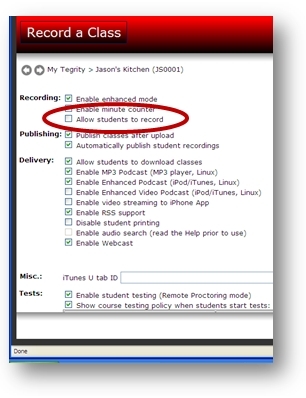 Step 3: Check the box listed “Allow students to record”. See the image below as a reference.